While their customer service is lacking, we love it for their high-quality products, coupons, and discounts, and we still think this store is worth checking out. 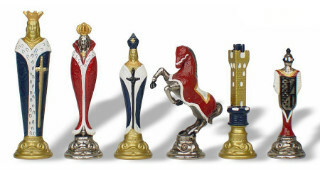 The Chess Store is a popular online marketplace that sells a variety of chess related products. 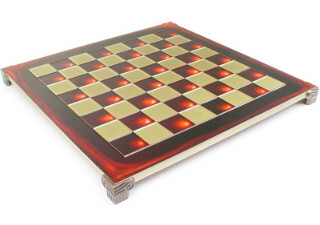 They have chess boards and chess pieces of course, as well as chess clocks, chess bags, chess boxes, educational books, DVDs, and software, and supplies specifically for school programs and chess clubs. 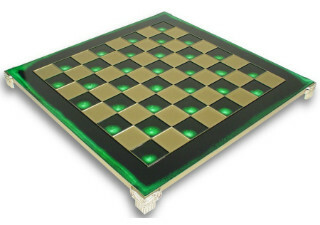 They also sell some equipment for other games, such as backgammon. Their website is clean and to the point, without a lot of personality. 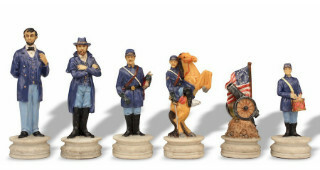 According to their website, The Chess Store was first established in 1999, and it specializes in selling fine wooden chess sets, particularly of the Staunton variety. The business is based in Hillsboro, Oregon, and that’s about all it says on the matter. When we tried to dig deeper for more details, we disappointingly fell short. It seems that there is not much information available on how this business got its start or what they’ve been up to since then. 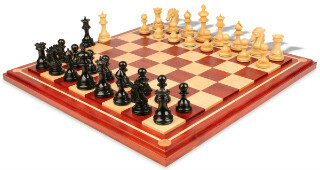 The company itself seems reluctant to share any such story as well, which is a stark contrast from other online chess stores which usually have whole pages dedicated to telling the story of how their founders first started up the business, what their vision was, and what they’ve been working toward in the meantime. It’s odd that The Chess Store doesn’t have a personal origin story like this- by their account, the business just sprouted out of the Oregon soil in 1999. But, just because it’s interesting to read and provides a way for consumers to connect with a business on a more personal level, doesn’t mean it’s necessary to have a good business. 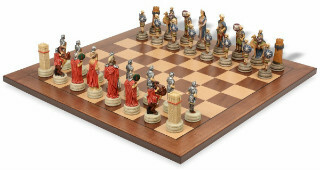 The Chess Store may not have, or may not be willing to share, its origin story, but there’s plenty of other things it has to offer, like excellent prices and a wide variety of high quality products. Recently, though, The Chess Store has been making a name for itself on various different online review sites, and it’s not a good name. 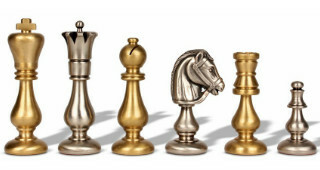 A few reviewers have been calling out thechessstore.com, saying that they’ve been sent chess sets that were missing pieces. Of course, these are just a few voices of dissent among other positive reviews. Everyone is bound to make a few mistakes at one point or another, and for now, opinion seems to be somewhat divided on The Chess Store’s reputation. The answer you get will depend on who you ask. From what we’ve seen, The Chess Store still has a pretty neutral reputation to most people. 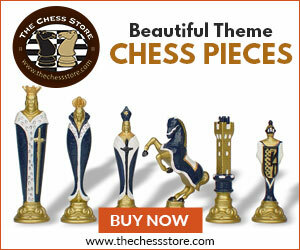 The product selection at The Chess Store is typical of what you might expect from any large online chess retailer. 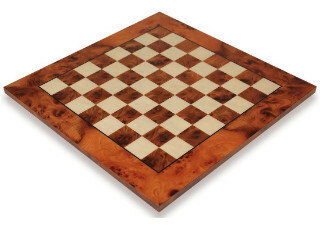 They have a wide selection of chess board and pieces in different styles and materials, though the majority of them are wooden. 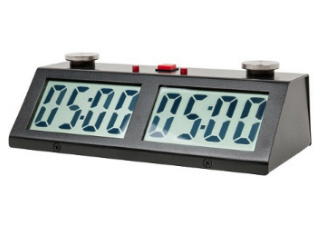 They have analog and digital chess clocks available, as well as chess storage equipment, educational materials, and chess supplies for clubs and classrooms like awards, scorebooks, demo boards, and more. If there’s one thing that The Chess Store takes seriously, it’s product quality. In contrast to the nearly empty “About Us” page on their website, the page on quality assurance goes into great detail and talks about their quality control processes at length. In summary, they ensure that each of their products is a product worth selling by personally inspecting each and every one of them. 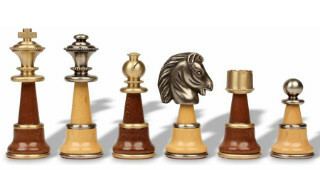 When they do this, they are looking for the tell tale signs of poor workmanship, such as pieces that are mismatched in height or diameter, knights that are poorly carved, turning lines or poor polishing on pieces or boards that indicate an improper finishing process, or chess pieces that have a tendency to lean to one side. Sets that have these kinds of manufacturing defects will never make it to the sales floor. It’s clear that they take quality control very seriously at The Chess Store. 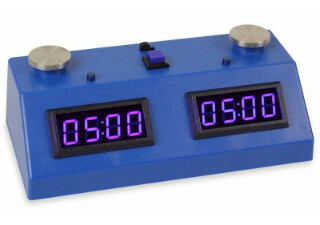 Given all the effort that employees of The Chess Store seem to put into ensuring quality in their products, you might expect the pricing to reflect that, and you would be right. The prices at The Chess Store, as a general rule, tend to run a bit higher than those at other chess stores. Sure, there are some great deals to be found if you get lucky, but there are also some not so great ones. 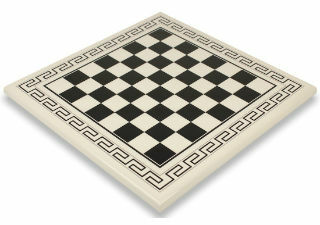 Many of The Chess Store’s products are from its own house brand, so those products are unique and can’t be found for sale elsewhere. We found the pricing on those items to be quite fair, in general. However, for some items from other manufacturers, the pricing was split- it could either be significantly underpriced or overpriced compared to other vendors. 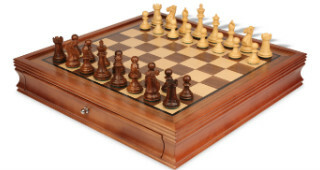 If you’re considering buying a chess set from The Chess Store that is not from one of its proprietary brands, we would definitely recommend shopping around a bit first. Compare prices with a few other stores to make sure that you’re not getting the short end of the stick. Pricing fairness at The Chess Store could definitely be better, and we wouldn’t buy something from them without double checking it against current market value first. Customer service experiences with The Chess Store are somewhat split. Several customers have reported having issues dealing with them that were never resolved properly. Of course, many more customers interact with them every day and come away feeling satisfied. And, even more customers never even have the need to contact them, since they’re totally satisfied with their order. However, interacting with customer service representatives is rarely a pleasant experience in life, no matter how friendly or helpful they may be. It’s possible that the experiences of the negative reviewers were colored by the frustration inherent in having a problem with an order that requires customer service intervention. Some customers have reported not being able to get through to customer service at all when they’ve attempted to call them. This is an understandable problem for a growing business to have as customer demand quickly outpaces company growth. We’d recommend The Chess Store allocate a few more resources to the customer service department and maybe hire a few more representatives to alleviate this problem. Free shipping is available for most orders that total over $100, and a flat shipping rate is available for all orders that don’t qualify for free shipping and are being delivered within the continental US. 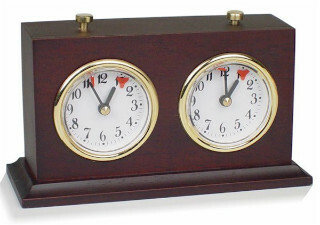 Customers may choose whether their orders are shipped via UPS or USPS during the checkout process. International shipping is available to all “safe” countries, as it says on The Chess Store website. It’s unclear exactly what is meant by that, and shipping rates will be calculated on an individual basis for international orders. Available payment methods include credit card(American Express, Diners Club, Discover, JCB, Mastercard, or Visa) PayPal, check or money order, purchase order, or The Chess Store gift cards. 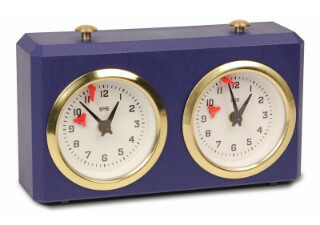 Returns may be requested within 30 days of the ship date of your order for any reason. Store policy dictates that the refund be processed within 5 to 10 days, so you should have your money back within a week or two. Shipping costs will not be refunded except in cases where something was wrong with your product and the fault of The Chess Store. 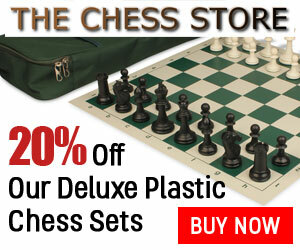 The Chess Store is a popular online chess shop that does a lot of good business and attracts new customers daily. It features a wide selection of products that have all been carefully screened to insure their quality, and it has a good variety of payment options and nearly worldwide shipping availability. It’s a fine place to pick up a few chess items if you see a good deal, but it’s not our favorite place to shop. There are a few minor issues with thechessstore.com that are keeping it out of our top tier of online chess shops for the time being. 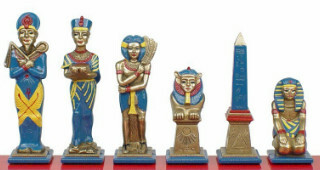 Negative reviews concerning missing pieces in shipped chess sets, customer service representatives that are difficult to get in touch with, and a few other issues are holding it back. 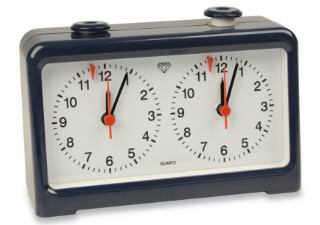 The few pricing discrepancies that we saw on certain products are also a bit concerning. 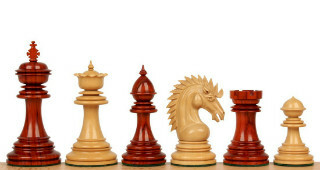 None of these things are complete deal breakers, of course, but if you knew of an online chess store without these issues that had the products you were after at a better price, wouldn’t you rather shop there instead? 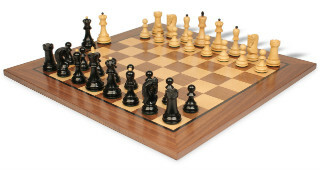 There are a few other online chess stores that simply outperform The Chess Store- such as The House of Staunton or Chess House, for example. 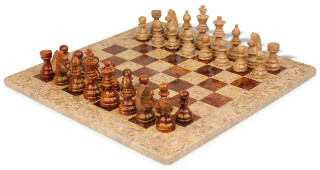 The variety of products that The Chess Store stocks is varied and adequate, and it offers many different payment options to suit almost any need. 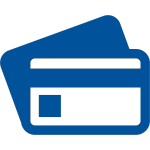 In fact, it accepts the most different types of credit cards of any store we’ve reviewed so far. Its reputation in the chess industry is reasonably well respected, if seen as the middle of the pack. 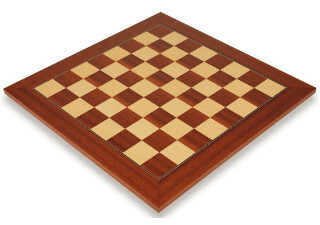 It’s not at the top of the pile when it comes to online chess stores, but neither is it at the very bottom. We certainly wouldn’t discourage you from shopping there, it’s just that there are other stores available that offer a better shopping experience. 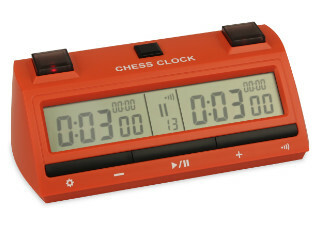 Now, The Chess Store does offer its own unique line of products, though, which can’t be found for sale anywhere else. 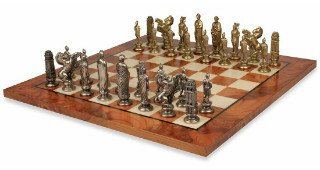 If you have your heart set on one of their custom wooden chess sets, you’ll need to buy it directly from them because no one else will have it. In that case, the other shops wouldn’t be able to offer a better shopping experience for you, since they clearly don’t stock the product that you’re after! You should feel free to buy those products and anything else you need without worry. It’s not like The Chess Store is a scam, they are a well respected online chess company that simply has a few kinks to work out of the system. We suspect that these minor issues are “growing pains” resulting from a small company rapidly growing in popularity and not being able to keep up. These things should all be ironed out in due time. 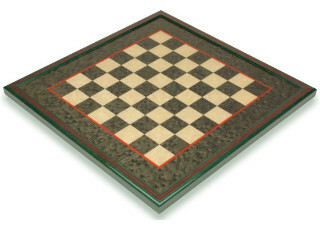 While The Chess Store is a perfectly respectable online chess shop, we know of a few others that are a cut above. We would recommend shopping at either The House of Staunton or Chess House instead of The Chess Store for a better overall experience. You can find just as wide of a variety of products in stock at these stores, including some of the same exact products. You may even get a better deal there! Their customer service departments are friendly and helpful, and have inspired very few complaints over their long history. They also offer a good variety of payment options and shipping locations.